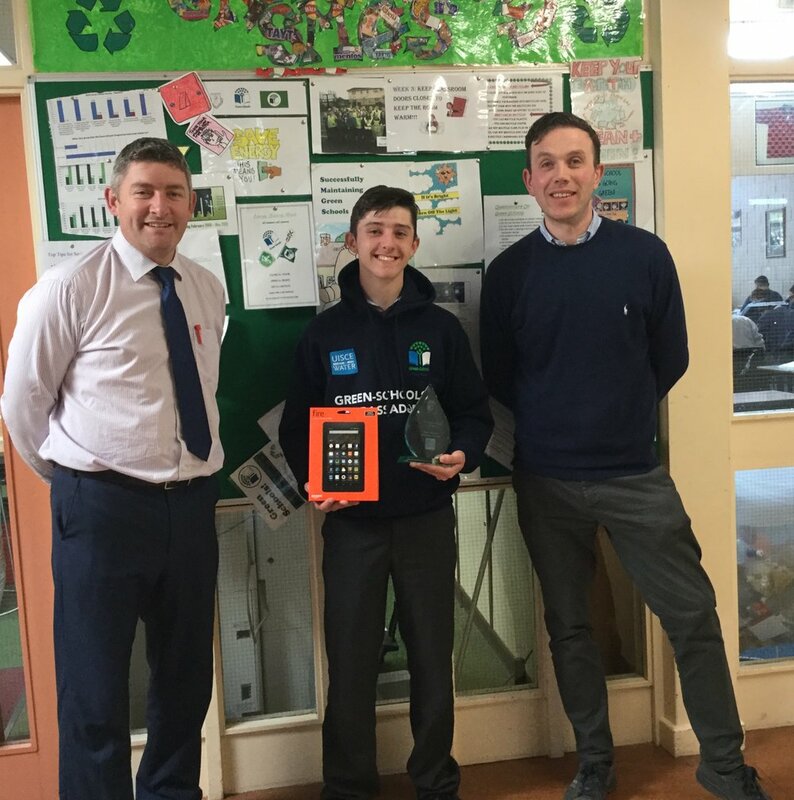 Congrats to TY student Jordan Keohane who was awarded Green Schools Ambassador for Water at a recent ceremony in Dublin. Jordan has done tremendous work at national level as well as for our Green Schools' Committee and at present serves as Chairperson of our Committee. The Green Schools' Committee meets every Friday in Room 1 and is at present working on their third Green flag for water which is due to be awarded in May 2018. Well done Jordan.